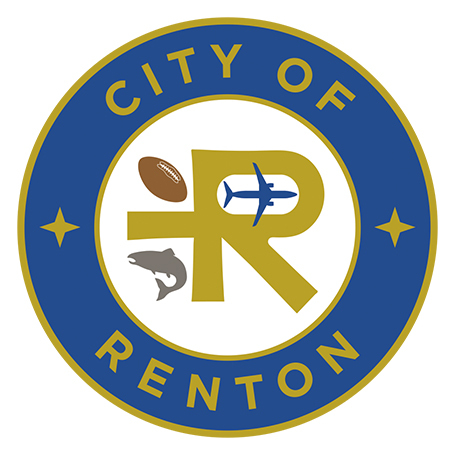 RENTON, WA -- The City of Renton has won two state awards for civic planning projects: a seventh consecutive Governor’s Smart Communities Award for the Sartori Elementary School project and an Outstanding Contributions for Comprehensive Planning Award for the downtown Civic Core plan. The city and Renton School District were honored with Washington Governor Jay Inslee’s Smart Communities Award for the thorough design and public input process conducted as part of the Sartori Elementary School project in downtown Renton. The project aligns with both the city’s 2011 City Center Master Plan and 2015 Renton Comprehensive Plan. The school design and concept will serve as a model for campus development in an urban setting. Its vertical design creates open space for students and allows the site to host community events during non-school hours. The one-square block site houses a three-story classroom building, hard and soft surface play areas, grass playfield, extensive landscaping, and parking for approximately 80 cars. There is a 900-square-foot multipurpose resource room, which the public can use for adult classes and community gatherings, and a 10,000-square-foot exterior plaza. The plaza is designed to be the heart of the campus and host community programming. Scheduled to open this fall, the school will initially serve 650 students in kindergarten through fifth grade. It is designed to meet the district’s 10-year growth projections and is the first elementary school built in downtown Renton in almost a century. Renton is the first community in Washington to win seven Smart Communities Awards and also the first to win seven consecutively, in competition with cities throughout the state. The city was previously honored for the Galvanizing Art Projects program (2017), Downtown Renton Library remodel (2016), Kirkland Avenue Townhomes Project (2015), Meadow Crest Early Learning Center and Meadow Crest Accessible Playground (2014), Sunset Area Community Plan (2013), City Center Community Plan and 20-Year Parks Plan (2012). The Washington Chapter of the American Planning Association and the Planning Association of Washington honored the city with their Outstanding Contributions for Comprehensive Planning award for their work on the Downtown Civic Core Vision and Action Plan. The plan is the city’s innovative response to the request for a community-supported vision that builds upon Downtown Renton’s many existing assets. The city utilized an extensive community input process, including a range of interactive in-person and online events. The result is an integrated approach designed to leverage existing projects with community energy to create dynamic spaces for people to gather, safe streets for all modes of transportation, and a bustling business environment. Mayor Denis Law and Renton School Board Director Dr. Avanti Bergquist hold the awards the city won for work on two community and economic development projects. Also in the photo are Renton Schools Superintendent Dr. Damien Pattenaude and Sartori Elementary School Principal Angela Sheffey-Bogan (on either side of Dr. Bergquist), Renton School Board Director Alisa Louie (on Dr. Pattenaude’s right), John Flanagan, Transportation and Economic Development advisor to Gov. Jay Inslee (behind Dr. Pattenaude), and Lloyd Skinner, APA Washington Awards Committee Co-Chair (front row, far left).